Molly loves her DIY, individual style, and she always encourages you to add your own touch. This multi-purpose machine includes 25 built-in stitches, a drop-in bobbin and a 1-step buttonhole. 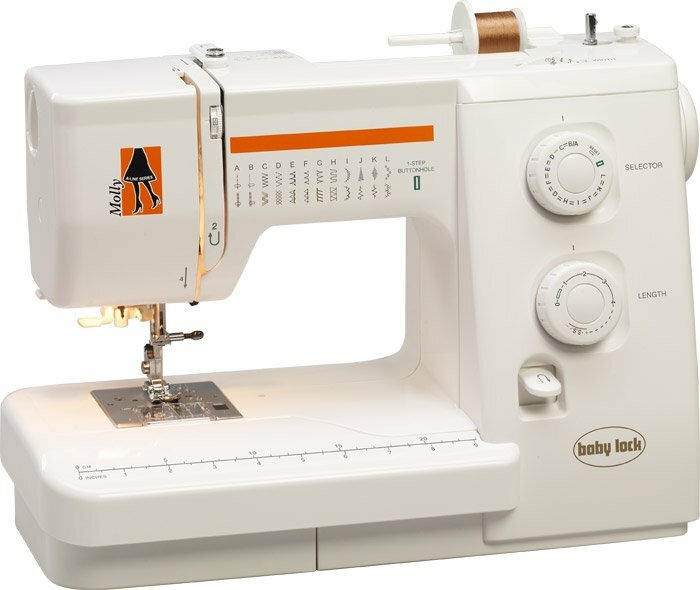 With adjustable stitch widths, 6 included accessory feet and a needle threader, Molly can help you bring your ideas to life with your own unique spin. Molly includes easy-to-follow, numbered guides so you can thread your needle with a few simple motions. With 25 stitches, you won’t have to sacrifice variety for portability. Molly comes with the essential accessories, including 6 functional feet to make your sewing easier.